This past Saturday, February 2nd, we opened our doors and welcomed many visitors to our school. Thank you to all of our amazing Dearcroft Montessori Student ambassadors who came to school on a day off to welcome families who are interested in sending their children to Montessori School. 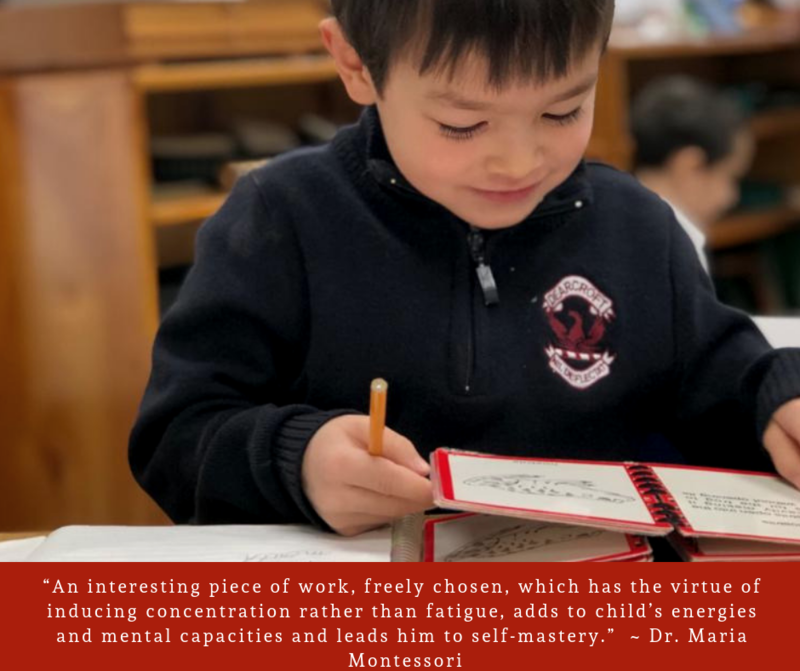 A Montessori education due to its unique ability to identify and nurture individual strengths does a remarkable job of creating graduates who go on to change the world. The founders of Google, Amazon and Wikipedia are fine examples of innovative, creative and fearless entrepreneurs who started their academic journeys in Montessori classrooms. They never stopped learning and continue to push boundaries… creating exciting new paradigms within their chosen fields. Their business cultures are outstanding examples of meaningful change and as individuals they have emerged as world ambassadors of inspired leadership. Dearcroft Montessori is celebrating over 50 years of an Oakville tradition with a natural reputation for excellence. Established in 1968, it is Oakville’s original Montessori School. The campus is located on a wooded, two-acre historic property, walking distance to Downtown Oakville and beautiful parks. Dearcroft is CCMA accredited and a founding member of the Oakville Independent Schools. Our nurturing, highly dedicated staff take great pride in providing a warm and engaging learning environment for our students. Dearcroft offers programs for Toddlers (18 months) to Grade 8, through a dynamic, highly enriched learning experience within our supportive and close-knit community. The best way to appreciate the school is through an actual visit so that you can see the class in progress during the morning work cycle. We encourage families to book a personal tour. We offer tours weekly on Tuesday and Wednesday mornings.